According to the recent Report of the UN Secretary-General after Sixty-ninth session of General Assembly, concerning the Situation of human rights in the Islamic Republic of Iran, there was not any progress in Iran under President Rouhani despite his first promises for more improvement of Human Rights and freedom. 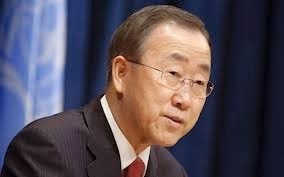 The Secretary-General remains deeply troubled by reports of increasing numbers of executions, including of political prisoners, and reiterates his call on the Government to introduce a moratorium on the use of the death penalty, and to prohibit executions of juvenile offenders in all circumstances. On 10 April 2014, a group of special procedures mandate holders publicly expressed alarm at the denial of medical care to blogger Mohammad Reza Pourshajari and religious cleric Sayed Hossein Kazemeyni Boroujerdi. Mr.Pourshajari was arrested in September 2010 and is currently serving a four-year term of incarceration in Ghezal Hesar prison, in Karaj, for propaganda against the State, insulting the Supreme Leader and defamation of Islam. Mr. Boroujerdi was arrested on 8 October 2006 and is serving an 11-year prison sentence. The situation of the two men has allegedly been exacerbated by physical abuse, poor prison conditions, prolonged solitary confinement and other forms of torture and ill treatment. They were denied access to specialist medical treatment outside the prison, despite the fact that prison physicians had recommended such urgent care. Special procedures have issued urgent appeals on these cases, reminding the Government of its obligations under international standards to respect the prisoners’ right to health and to ensure humane treatment, which requires the transfer of sick prisoners who need specialist medical care to specialized institutions or civilian hospitals.